Are you running an old version of Acumatica? If so, you need to consider an upgrade. Acumatica stopped supporting version 6.0 at the end of January 2019. We just received notification that support will end on version 2017R2 July 31st, 2019. What does that mean for you? If you are on an Acumatica version older than 2018R1, after July 31st, 2019, your system will not be in a support status. It might not seem like a major event, but it can be. If your system is working and you have no issues, you might not think anything of upgrading. What happens when you need to run a monthly process and you receive an error message and can’t move forward? 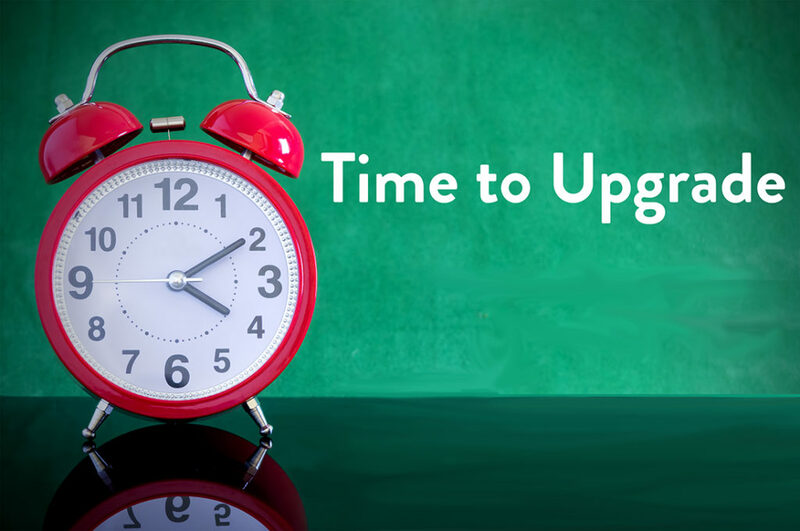 Acumatica support will say, you need to upgrade to a supported version or pay additional fees. We want to help you avoid those situations, so let’s talk about upgrades. A client recently asked me what are some of the “HOT” features or benefits that you receive by upgrading to 2018R1 or 2018R2? I compiled a list and thought it would be a good refresher to those of you contemplating upgrading. These are just some of the new features our clients like best. Quick Processing gives you the ability to process an order in just one click. How simple is processing an order now for users, a click of a button. In AR and AP you can Split Transactions during reclassifcation. Now you can transfer a part of the amount to another account, subaccount, or branch. You can also Void Vendor and Customer Refunds through the VOID process, which creates the necessary documents to auditing purporses. Quotes can be created in Opportunites as a docuent type. This functionality gives you the ability to present a quote as a formal offer made to a particular customer based off the opportunity. You can include a list of products offered at specific prices. Dashboard Enhancements changes have been made related to dashboards which improve filtering data on widgets and enhance the look of KPI widgets. Quick Filters for Generic Inquiry Results have been simplified. On the inquiry form, users can now configure a filter by dragging table columns to the new filtering area and save the filter for future use. The table footer of generic inquiry forms has been redesigned so that users can always view the number of records and pages displayed by the generic inquiry. A new Change Order functionality has been introduced in the Project series. The users can control changes of the project’s budgeted and committed values and control the profitability of every change initiated by a customer. Master Calendar introduction to the Finance Modules. The master calendar is a set of financial periods that is generated for multiple years based on the financial year specified for the tenant. This will simplify the work with financial periods and making it possible for users to manage financial periods for posting for a particular company, and can close books separately in each company within the tenant. Users can Allocate Items to a Service Orders or appointment, depending on setup and process. The scheduler can allocate certain items for the service order and its appointments. The staff member can select a serial number of the item to use in an appointment. The warehouse manager can use replenishment to order stock items based on items assigned to service orders, and more. Improved Discount Functionality provides flexible capabilities of configuring discount. Customer and vendor discounts have been divided with separate features that can be used independently of each other. 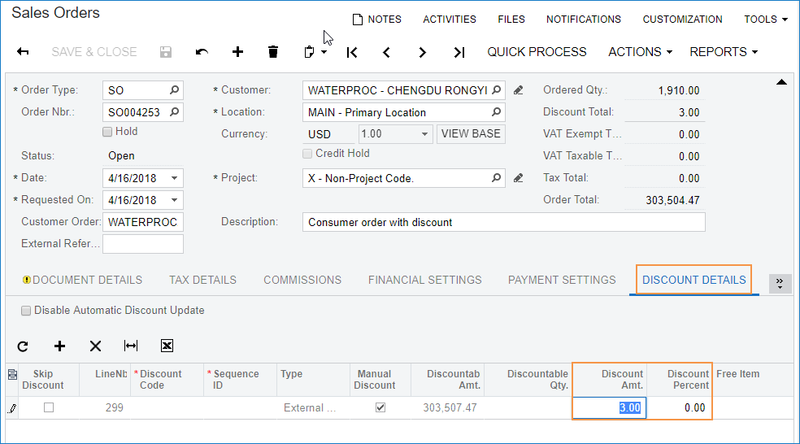 Users can now edit values of the Discount Amount and Discount Percent boxes on the Discount Details tab on several forms within Acumatica. 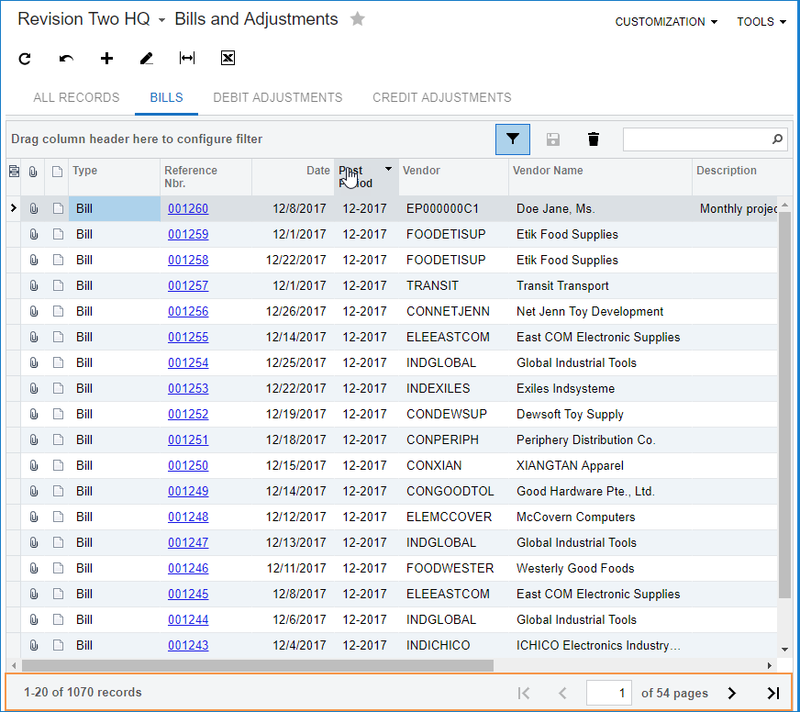 Improved Purchase Returns enhanced to help users prepare and process purchase returns related to particular purchase orders. A new feature in Projects has been introduced, Project Quotes. The feature makes available the new Project Quotes form, on which users can enter and modify a project quote, and each modification can be printed and sent to the customer for review as many times as necessary. Pop-Up Notes provides users the ability to leave a note about a customer, a vendor, or an inventory item that will be displayed to other users when they select the entity while creating documents in the system. There are many more changes around the User Guides and Help Dashboard, Pivot Tables, Report Designer Preview Mode, Generic Inquires, and the list goes on. If you would like all the nook and crannies, let us know and we will send you the official Release Notes. 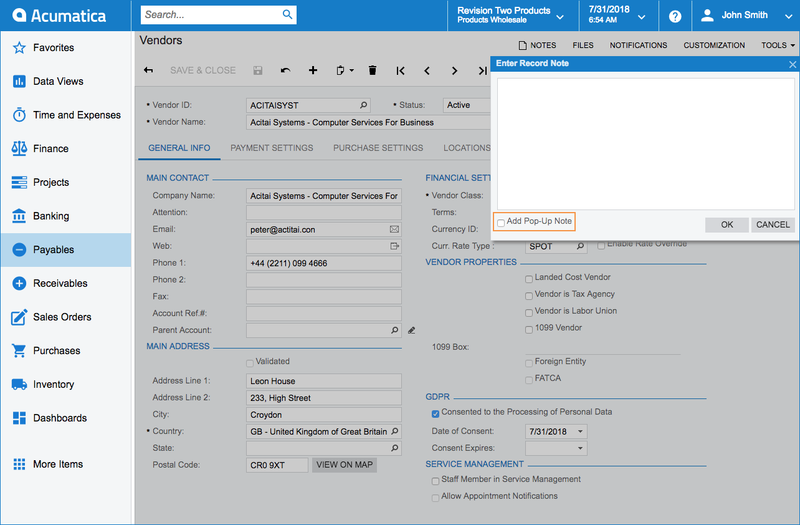 You can always contact your Client Account Manager as well to walk through these enhancements and discuss upgrading. 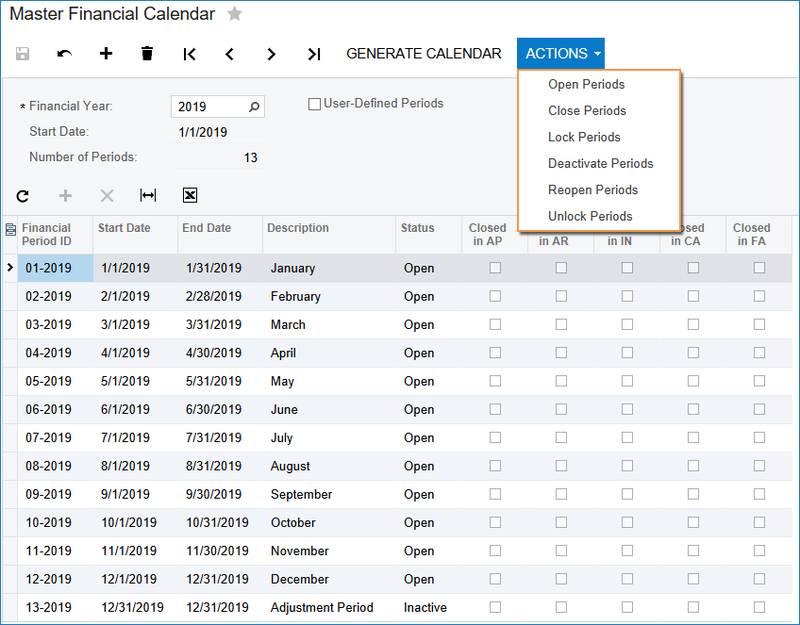 Additionally, Acumatica 2019 R1 has released and might be a great option too. Learn more here.